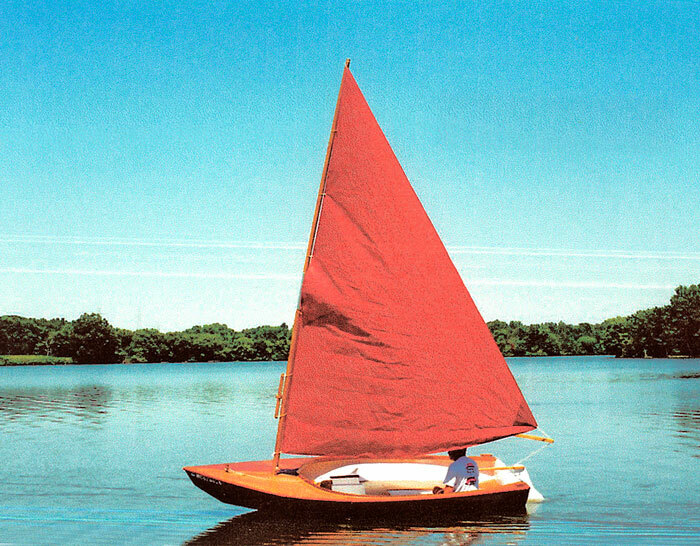 Fred Shell of Shell Boats in St. Albans, VT designed this Swifty 14, which Mort Stant built. He painted the hull blue, the cockpit white, and varnished the deck and seats. Mort writes that it was fun to build and sails great.